US 27 South to Ripple Creek to Sabre Dr to the end of the street. 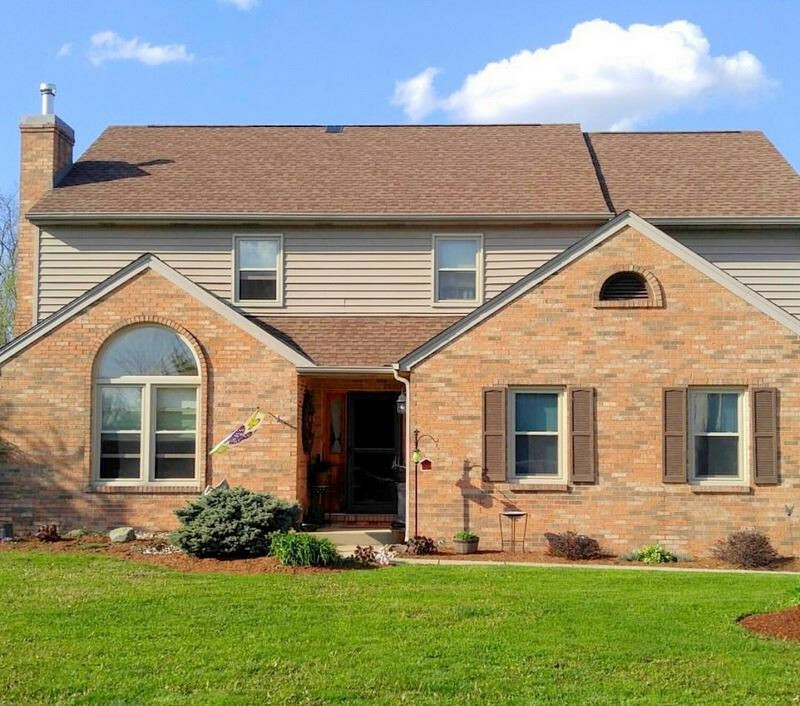 This beautiful custom built home has loads of updates, and a private fenced yard with breathtaking wooded views! *3 finished levels *Lg eat-in kitchen with pantry & counter bar*Living rm has gorgeous fireplace w/custom mantel*Hardwood in kitchen, dining rm & hallway*Study could be 4th bedroom*Master suite w/huge adjoining bath & walk-in closet*Finished LL with family room, half bath, wet bar, and additional room for office,crafts etc. *New windows 2015*New carpet 1st floor 2018*Whole house humidifier*Wired for Fioptics*New chimney 2014*Oversized patio*Large 12X20 Barn This one is a must see!